In a baroque style, this monastery stands just five kilometres from the city limits, in the municipal district of the same name. It guards a relic that was brought over from The Vatican in the 15th century which, according to popular tradition, was the fabric with which Veronica dried the bleeding face of Jesus on the Way of the Cross. 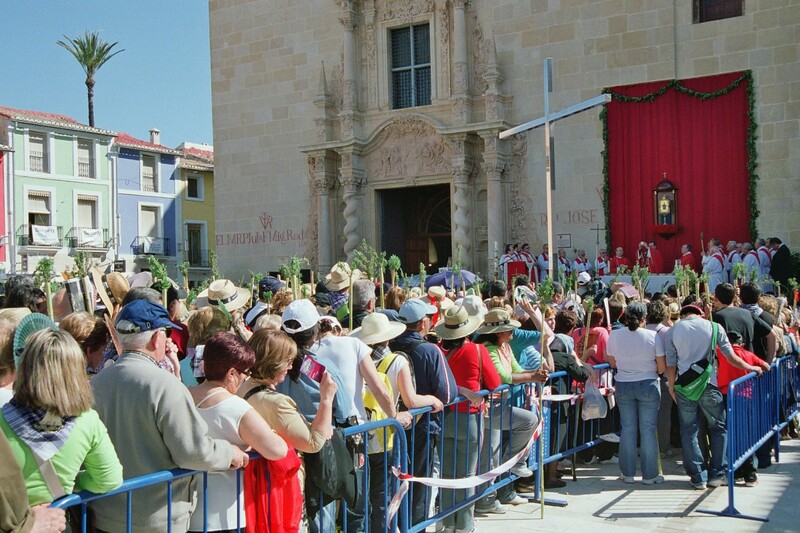 Every year, on the second Thursday after Easter Sunday, thousands of the city’s residents make the Peregrina de la Santa Faz pilgrimage, which is Spain’s biggest after the El Rocío pilgrimage. The Santa Faz relic is kept in a special room behind the main altarpiece.